Major global earthmoving companies have recognised the importance of the National Diesel Dirt & Turf Expo, with Sany Australia providing gold sponsorship of the 2019 Expo. We are super excited to have Sany Australia on board & looking forward to an amazing partnership in 2019. Sany Australia has been making inroads into the australian market over the past few years & is making a real push getting their brands and machines out to clients. SANY Australiais one of several Chinese companies exhibiting at the Expo. The entered the Australian market in 2002 importing motor graders. Since 2002 they have set up a national network of offices throughout Australia. 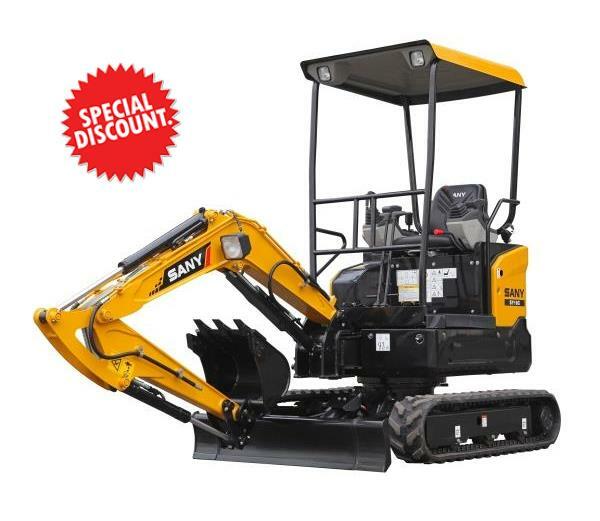 SANY Group is a leading global heavy machinery manufacturer. They have plants in the US, Germany, Brazil and India, and businesses covering over 100 countries and regions worldwide. Come visit Sany Australia at their stand at the 2019 show. 0 Comments on "Sany 2019 Gold Sponsor"